IN RESPONSE TO: The Sunday Times article, 26 September 2018, entitled “NSPCA wants quick stop to lion bone exports” by Nomahlubi Jordaan. For four weeks in June 2018, the TRUE GREEN ALLIANCE (TGA) completed an objective inspection of the Captive-Breeding of Lion (CBL) Industry in South Africa. 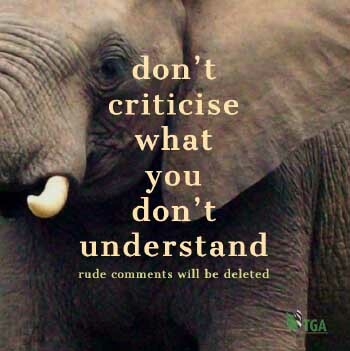 The TGA carried out this inspection because it had been plagued by opinionated people who demanded that the TGA – on the basis of these people’s own personal preferences alone – recommend that the CBL industry be closed down. We did not visit every one of the CBL facilities but we saw and experienced enough to appreciate everything that the CBL is doing and practicing, including matters concerned with the lion bone trade. The CBL Industry in South Africa is far from perfect. Nevertheless, we discovered nothing that warranted us recommending CBL should be closed down. There was no malpractice – or alleged malpractice – that could not be remedied administratively over time. There is a great deal about the industry that, we believe would benefit South Africa, and South Africa’s rural communities, should the industry succeed. And we found no intended or incidental cruelty in any of the management procedures and practices. We recommended – and we still recommend – that the industry be succored by government and that it be assisted towards achieving ‘best practice’ by the Department of Environmental Affairs. The article in the Sunday Times (referred to above) indicates that the NSPCA is taking the industry to court with the objective of stopping the export of lion bones from South Africa. The TGA has a number of things to say about that! The NSPCA is way out of line if it believes it has the right to stop – or to interfere with in any other way – the legal trade in lion bones. Their mandate is to stop ‘cruelty to animals’; not to interfere in the legitimate trading of animal products after the animals have been killed. The NSPCA is reported to be also objecting to the tourism practice of “lion cub petting” – which the CBL industry itself abhors. So if the NSPCA could put a stop to the lion petting industry the CBL farmers would be delighted. The NSPCA also objects to the so-called hunting of ‘canned lions’ – which is already specifically outlawed in South Africa. And overall, the NSPCA claims that the CBL Industry, in principle, is cruel – and on that subjective opinion, they believe, the industry should be closed down. The TGA did not find that the CBL industry was ‘cruel’ – which, by definition, means that the infliction of pain and suffering was an ‘intent’ of the practices perpetrated by the CBL farmers. THAT is an outrageous presumption. There is little difference between breeding cattle, sheep and goats, chickens and pigs, ducks and geese, and, when the time is right, sending them to the abattoir for slaughter – and the slaughtering of lions . The TGA is told that humanity slaughters over 150 billion domestic animals every year to provide food for people to eat. So if the NSPCA has determined that the slaughter of animals for their products has to be stopped, then it should gird its loins for a battle royale when it is made public that our abattoirs are to be closed down, too. I doubt it would win that doctrinaire battle. Just consider, however, that the two issues – slaughtering domestic animals and slaughtering captive bred lions both of which have been bred for exactly the same reason – IS the same tissue. However, if the NSPCA is concerned that the slaughter of CBL lions for the lion bone trade, is inhumane – that it is cruel – that it causes the lions intended pain and suffering – then it is on firmer ground, because THAT does fall inside the NSPCA mandate. And the TGA will support the NSPCA in this regard. The TGA, however, understands that all lions are lead to their slaughter by the same procedure. A licensed veterinarian injects the lion-to-be-killed with an immobilizing drug and puts it to sleep. The lion is then transported in a safe individual cage to a central destination where all the lions-to-be-killed are treated, and their carcasses processed, in the same way, at the same time. And, when they are still comatose, each lion is killed with a single .22 long-rifle bullet – delivered at point-blank range – through the brain. Each lion, therefore, has an instantaneous death whilst it is still asleep. I fail to see, therefore, where such a procedure can be construed by anybody as being cruel. But that is not the real purpose of this court case – is it? This court case has been called by the NSPCA to add further insult to unjust and unnecessary injury by hammering another nail in the coffin of the CBL Industry, of which the NSPCA subjectively disapproves. And THAT subjective action should NOT be allowed. The article in question is steeped with false and derogatory statements that are clearly designed to denigrate the CBL Industry before the coming court case. Among other things, the article casts aspersions on the quality of the CBL lions’ genetic constitutions, suggesting that they are terribly inbred; full of genetic faults, and exposed to disease. The NSPCA, therefore, seems unaware of the fact that one of the most qualified DNA laboratories in the country – the National Research Foundation (NRF) – is all the time busy carrying out DNA sampling on the lions in the industry – the breeding stock of which all are already also micro-chipped. So there are expert controls in operation that make sure in-breeding does not take place. Furthermore, the scientists of the NRF have declared that the CBL lions have a healthier and broader-spectrum DNA record than any wild lion population in the country. They are also free of disease – which can’t be said of the Kruger National Park’s lions that are infested with incurable and highly contagious bovine-TB. The CBL’s 7000 to 8000 lions are all captive-bred. They have no impact – positively or negatively – on any wild lion population. So, all the false propaganda put out by the animal rightist organisations – to the effect that CBL has a negative impact on our wild lions – is, all the time, more and more, being proved to be false. Indeed, the CBL lion’s husbandry is more akin to a farmer breeding domestic stock for human consumption, than anything else. So, the CBL lions have no need of the NSPCA’s interference or protection – which is not really the NSPCA’s intention anyway. This, however, brings into this equation another dimension. 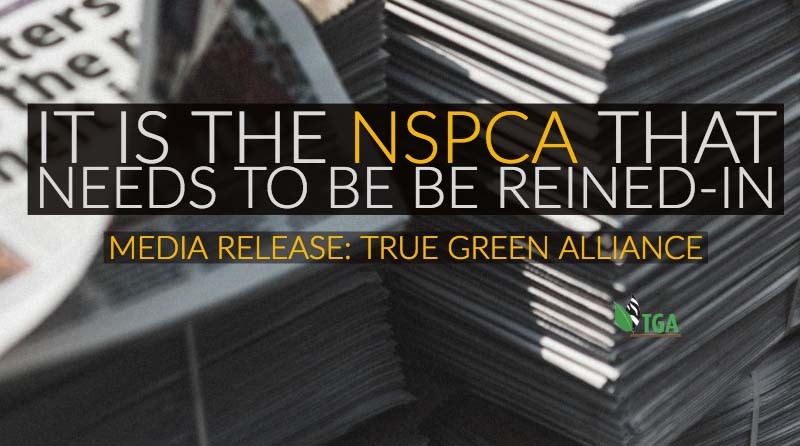 The NSPCA is the national leader of South Africa’s animal welfare organisations – that is, the national councils for animal protection against cruelty – yet the NSPCA’s CEO is more animal rightist in orientation that she is an animal welfare-ist. Animal rightists are people who campaign to ABOLISH all animals ‘uses’ by man – and they attend to matters like stopping the lion bone trade. Animal welfare-ists, on the other hand, agree that man can use animals for his own benefit. They just want to make sure that, during that use, no animals are treated cruelly. We should all, therefore, be animal welfare-ists. To prove my point, for the last 15 years the current CEO of the NSPCA has been a director of one of the biggest international animal rights organisations in the world – WAP (World Animal Protection). I think, therefore, that it is high time society in this country started to ask the question: Why is one of the world’s highest-ranking animal rightist directors, also head of this country’s biggest animal welfare organisation? And, if you start digging, you quickly find that his disclosure is just the tip of the iceberg. I salute the TGA for taking such a firm stance against and fighting this utterly twisted and abhorrently false representation of the truth by an organisation that is supposed to be objective and beyond suspicion. In the end no matter what you say it is the truth that will prevail.